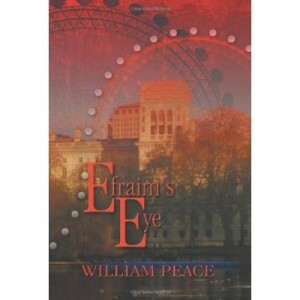 The London Eye and its 800 riders are the target for Efraim, an Iraqi terrorist. Funded by his half-brother, Yusuf, the corrupt chief executive of a Moroccan charity, Efraim travels to Pakistan, Afghanistan, Georgia, Azerbaijan, and Chechnya to build the necessary shaped charges. Paul, a British financial consultant, is sent to investigate the Moroccan charity by its British parent organization. He is joined in Marrakech by Naomi, the operations director of the British charity. Naomi is a beautiful Israeli, who speaks seven languages and is an accomplished musician. Will Paul and Naomi discover Yusuf’s corruption and his link to Efraim? Can they prevent the destruction of the Eye? And, do they have a future together? Efraim is a lone-wolf terrorist with a pathological hatred for the British. He has designed a plan to sever the supporting cables of the London Eye, using shaped charges, causing the Eye to fall over into the River Thames. All 800 passengers will be killed or drowned in their capsules. But first, he must call on his half-brother to provide the funds with which he will buy the ingredients for the shaped charges. Having obtained the money, he travels to Pakistan, Afghanistan, Georgia, Azerbaijan, and Chechnya, where he obtains the RDX high explosive, the polymer binder, and he has the casings manufactured. He kills two Taliban who try to steal from him, and a Russian agent who tries to entrap him. He visits prostitutes and agonises over the Qur’an’s proscription of ‘unclean women’. Efraim’s half-brother, Yusuf, is chief executive of the Moroccan chapter of the British charity, Global Youth Enterprise. GYE provides loans and mentors to young entrepreneurs who have a business idea, but no funding. The CEO of the British GYE suspects that all is not well in his Moroccan chapter, and he engages Paul, a senior financial consultant, on a pro-bono basis, to assess the Moroccan chapter. Paul is a well-to-do, widower in his late fifties. He has worked in large practices, has joined Charitable Consultants LLP., and now has his own practice in the City. Paul is joined in Marrakech by Naomi, the operations director of the parent GYE. An Israeli by birth, in her mid-thirties, and beautiful, she speaks seven languages, including Hebrew, Arabic and English. In their week-long assessment of the Moroccan GYE, they find much that is wrong, including lack of financial and operating procedures, lax board governance, and rumours of fraud and embezzlement. But they can’t find proof of illegality. Yusuf’s evasiveness and hostility frustrate them at every turn. Efraim appears threateningly, and his malevolence reminds Naomi of events in her childhood. She draws close to Paul and they become lovers. Reportedly, Efraim is a fiery, fundamentalist imam at a minor mosque, and secretly, Paul and Naomi attend Friday prayers. Paul records Efraim’s talk and Naomi confirms its venomous intent. On his return toEngland, Paul informs Sarah, his divorcee lady friend, of his affair with Naomi, and Sarah leaves him. On hearing Paul’s report, the Accreditation Board of British GYE decides that the books and bank accounts of Moroccan GYE should be properly audited, and Paul is sent back to Marrakech to perform the audit. A careful inspection of the bank statements reveals that fraud has been committed, but they lack the evidence of embezzlement until Naomi finds it. Paul and Naomi secretly hear Efraim speak again; he gives clues that his target is the Eye. Just before fleeing toEngland, Naomi is abducted and severely beaten by Efraim. Paul succeeds in convincing Scotland Yard of the seriousness of the threat, and a thorough plan of prevention is set in motion. The attack is expected on Sunday. Paul decides that he and Naomi should visit the Eye on Saturday. They find Efraim hurriedly laying out the shaped charges. This novel was awarded a Reader Views Literary Award, 2013, Adult Fiction. It was also named Finalist, Suspense/Thriller in the Next Generation Indie Book Awards.